A newly signed deal with 505 Games will bring more DLC's to come. 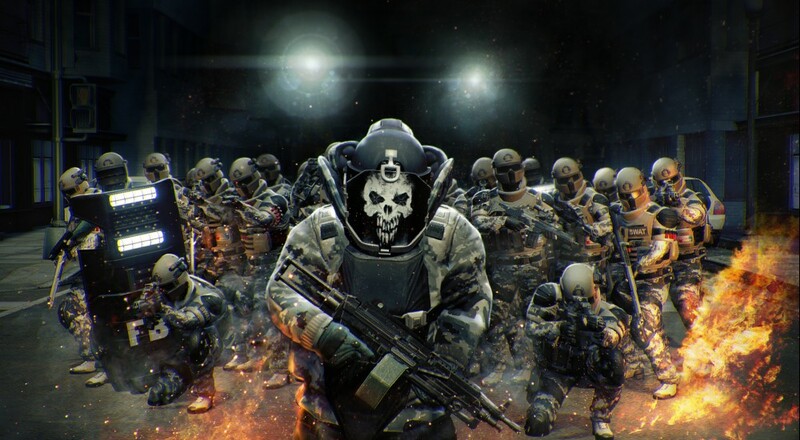 Developers Overkill Software and Starbreeze Studios released an all new PAYDAY 2 DLC last week to give players even more bang for their buck. The "Death Wish" DLC is available for free and comes with all new modes, enemy types, and a loads more. The free "Death Wish" DLC added all new items to this already great co-op shooter. First and foremost, the new difficulty mode the update was named after, "Death Wish", brings entirely new elements to each level by randomizing each mission's environments and landscape. Each time a mission is played, the new settings forces players to adjust their strategies and tactics immediately. Things such as bridges being collapsed when they normally should be untouched, or new skylight opening in rooftops can change movement and defensive options entirely. Within "Death Wish" mode, cooperation between you and your teammates is more important than ever. 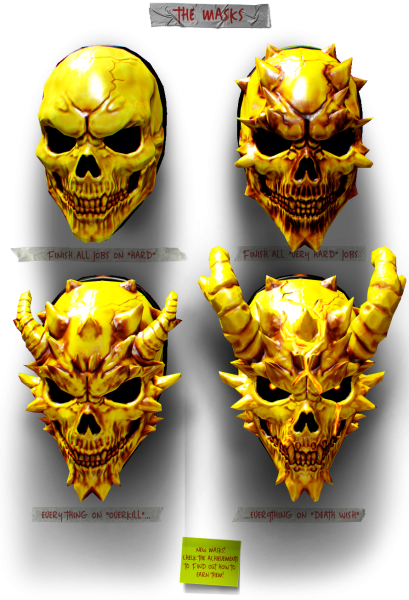 Four new masks (shown below), along with the "350K" brass knuckles weapon, 35 all new achievements to unlock, should keep players busy for a good, long while yet. As of now, no word on if the console versions will be getting this update too (Xbox 360 is still months behind PS3 in updates). "The new improved contract, worth six million US dollars, gives us the security to, for the next 20 months, focus on developing and refining Payday 2 so that it becomes the best co-operative gaming experience available on the market, with many more add-on packages and other exciting events planned." PAYDAY 2 is a 4-player online co-op game for PC, PS3, and Xbox 360. Page created in 0.2675 seconds.